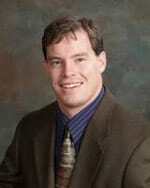 Matt Kuntz, is the Executive Director of the National Association of Mental Illness (NAMI) in Montana. He has a compelling life story as to why he is involved with NAMI. He’s a former attorney whose step brother died by suicide following a tour of duty in Iraq. Dr. Paula Clayton is the medical director of The American Foundation for Suicide Prevention (AFSP). Joanne Harpel is the Director of Survivor Initiatives and for the Foundation and is a survivor of her Brother Stephen’s suicide in 1993. Matt Kuntz, is the Executive Director of the National Association of Mental Illness (NAMI) in Montana. He has a compelling life story as to why he is involved with NAMI. He’s a former attorney whose step brother died by suicide following a tour of duty in Iraq.